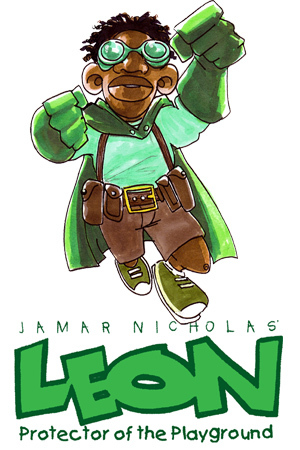 JAMAR NICHOLAS is a Philadelphia-based cartoonist, illustrator and educator. Beginning a career in comics in 1997, he self-published his first title The Jamar Chronicles, and has gone on to create several popular properties, most notably web-comic Detective Boogaloo: Hip Hop Cop. Jamar also held the rare position of Editorial Cartoonist at the Philadelphia Tribune – the nations oldest African-American newspaper. He has taught and lectured on the topic of comics creation at numerous institutions, such as the University of the Arts, Delaware College of Art and Design, Arcadia University and Moore College of Art in Philadelphia, Pennsylvania. He has dedicated his career to empowering young people to create their own cartoons and comics.